Over his career in executive search, Sam has worked with hundreds of board members and leadership teams with entities ranging from start-ups to mature multinationals in both the corporate and nonprofit sectors. Since founding BoardWalk in 2002, he has served clients as varied as international relief agencies, national foundations, regional trade associations and local agencies in dozens of markets. Sam spent 25 years in board recruitment and executive search before launching BoardWalk, 21 of them with two of the finest firms in the field, Spencer Stuart (1993-2002), and Egon Zehnder (1981-1993), for which he opened and built the Atlanta office. Sam has personally served clients in at least three dozen states and 16 other countries. Throughout his career, Sam has been an active trustee of numerous nonprofits, associations and foundations, both public and private. He was on the founding board for 12 years each with two particularly impactful start-ups, Atlanta Police Foundation and Atlanta International School, now widely regarded as models for the power of public-private partnerships (APF) and diversity in action (AIS). 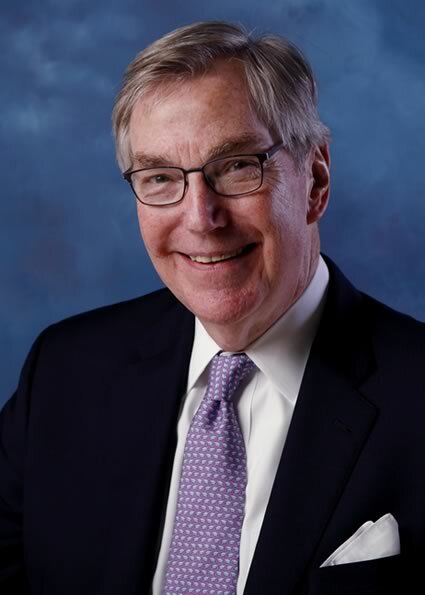 In 2011 Sam received the Commitment to Community Award (then known as the Eleanor Raynolds Award), given once each year by the Association of Executive Search Consultants (AESC), the worldwide trade association for executive search and leadership consulting; he subsequently served for several years on AESC’s global board. In 2014, Sam got a new perspective on executive search when he was one of eight AESC board members from four continents who served on AESC’s own CEO search committee. Sam has been an active member on the Council on Foundation’s Committee on Inclusiveness, a group of foundation leaders from across the US with a shared commitment to diversity and inclusiveness in philanthropic leadership, programs and services. He has been a regular supporter of and presenter to the Council’s Career Pathways program for emerging leaders in philanthropy. In 1980, Sam established the William D. Pettway Prize in Drama at the University of Virginia, awarded each year to fourth-year students who have made distinctive contributions to the University’s drama department, among the early student winners: Tina Fey, class of ’92. While president of the Harvard Business School Club of Atlanta, Sam established a scholarship fund, which has since sent scores of nonprofit executives to various executive courses at HBS. He then created the annual BoardWalk Governance Fellowships at Harvard Business School to promote participation in “Governing for Nonprofit Excellence,” an executive program specifically designed for nonprofit board members. Over a decade, BoardWalk awarded some 45 such fellowships to trustees from a variety of nonprofits across the country. A Navy veteran, Sam holds a BA from the University of Virginia and an MBA from Harvard Business School, where he is a past member of the global alumni association’s board of trustees and past president of the local club. He is a trustee of the Harland Charitable Foundation, a member of the Rotary Club of Atlanta and an active alumnus of Leadership Atlanta. Earlier, he was chair of the American Running Association and a board member of Blue Cross/Blue Shield of Virginia (now part of Anthem). Sam is a late-blooming athlete who has completed 20 marathons, his latest being the Boston Marathon (2018) in the worst weather in the race’s 122-year history (torrential rains, 20-42mph headwinds). His wife, Barbara VanLandingham Pettway (an executive communications consultant), and his two sons, Cooper and Andrew (one a Washington-based IT project manager and the other an Atlanta-based entrepreneur) were enthusiastic as soggy cheerleaders throughout!